Eating healthy foods has and will always be a priority for every Nigerian, and the world at large. With increasing cases of diabetes and obesity in Nigeria, many Nigerians have sought for foods with low glycemic index. 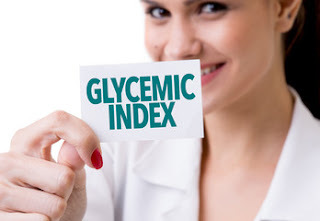 What is glycemic index? Why are low glycemic index foods essential? And What are the healthy Nigerian foods with low glycemic index? Let us carefully examine and answer these questions. You will greatly benefit from reading this article, let’s get started. relative ranking of carbohydrate in foods according to its effect on blood glucose levels. It is rise in blood sugar level, 2 hours after consuming a meal. GI of foods are ranked from 1-100. Foods with low Glycemic Index are usually 55 or less. Low GI foods are digested, absorbed and metabolised at a slow rate and cause a lower and slower rise in blood glucose levels. On the other hand, foods with a high GI (usually 70 and above) are digested, absorbed and metabolized at a much faster rate. Glycemic index takes into account the amount of carbohydrates in the food that is consumed. Hence, the glycemic load takes into account the carbohydrate content in the whole food. It is gotten by multiplying the GI and the amount of carbohydrate in the food in grams, then dividing by 100. It is between 1-20. – Processing: processed foods have higher GI than unprocessed foods. 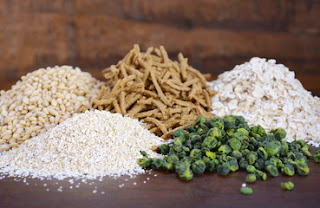 A good example is flour, which has high GI, compared to when it was an unprocessed whole grain. – Insulin response and resistance: People and foods vary in insulin response and resistance. – Variety: Different varieties of a certain foods have different glycemic index. – Cooking methods: The more a good is cooked or overcooked will raise the GI. Because its cellular structure will be broken, hence it will digest rapidly and raise GI. – Diabetic patients: People with diabetes will have increased GI levels hours longer after eating certain foods. Why Are Foods With Low Glycemic Index Good For You? Now that we’ve learned about what glycemic index is, let’s find out why these are important and the health benefits of foods with low glycemic index. Eating foods with low GI has been recommended by the American Diabetes Association for patients with type 1 and type 2 diabetes, as a way to manage their condition nutritionally. It is also said to be helpful to people with gestational diabetes. A recent study provided concrete evidence that consuming high-fibre, low GI diets can significantly reduce total and LDL cholesterol levels. Research shows that consuming low GI foods will reduce your risk of developing coronary heart disease and other heart diseases. Low GI is also associated with losing and maintaining weight. A review stipulated that eating a diet of low glycemic index diets by obese people will promote weight loss and proper weight management. Sweet corn is very good for you can has a lot of health benefits. A 60g serving of corn has a glycemic index of 48. Beans is a very nutritious legume. It is rich in proteins and a great food for weight loss. Baked beans has a GI of 40 in 150g of meal. While black beans has a GI of 30 in 150g serving. Okro is used in preparing okro soup, which a very healthy Nigerian soup for weight loss. It contains few calories too. Okra is a nonstarchy vegetables, with low glycemic index of 18. Polytechnic Ojere, Abeokuta, found out that Akara had a GI of 44, and moin-moin was 41. There are a lot of healthy leafy vegetables in Nigeria. These leafy vegetables are non starchy vegetables with few carbohydrates. Examples are Broccoli, Tomato, spinach cabbages etc. A 120g serving of banana has a glycemic index of 48. Plantain is another food with low glycemic index. Plantain has a glycemic index of 53. Unripe plantain has a lower GI than ripe plantain. Raw green plantain has a GI of 40. Some dairy products have low glycemic indices. Milk, full-fat, has a GI of 31 in 250 mL. While skim milk has a glycemuc indec of 31 in 250 mL. Of course, there are so many healthy Nigerian fruits with low glycemic indices. Apple has a GI of 36, raw pear has a GI of 38, orange has a GI of 45 and grapefruit has a GI of 25. Brown rice or Ofada rice is also very good. Ofada rice has a glycemic index of 50 in 150g serving. • White wheat flour bread etc. Garri: Garri is a widely consumed food in Nigeria. What is the glycemic index of garri? Garri has a glycemic index of 82 and a glycemic load of 42. Thanks for taking time to read. Please make sure you drop a comment, as well as share this useful information.